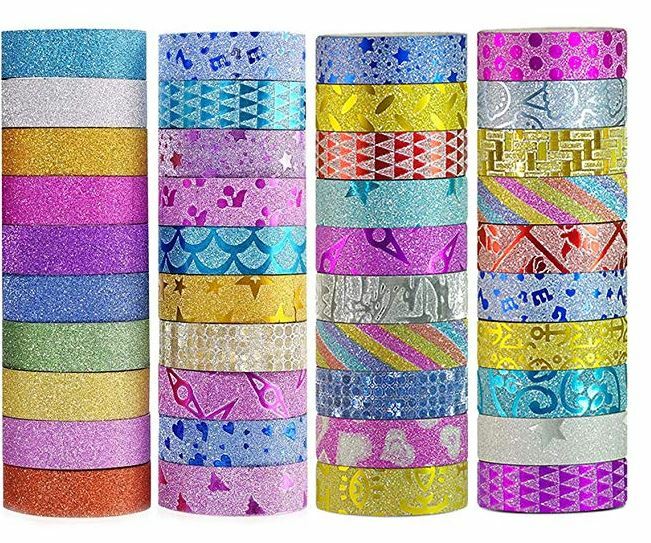 Get this Washi Tape Glitter Set of 40 Rolls on sale for $7.79 with the coupon code: P6HB96MS at checkout (Retail $12.99). -DIMENSIONS: 15mm ( 0.59″ ) wide x 5 m ( 196″ ) long for each roll. Perfect size to fit all of your crafts and DIY! -WASHI TAPE SET: 40 rolls per set, 10 in basic solid color and 30 of various patterns, full of color and fun. Eco-friendly glitter on the surface and won't fall off.